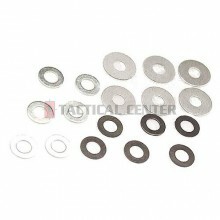 G&G Metal Sim Set / G-10-026.0.1 mm x 6 uds0.2 mm x 6 uds0.3 mm x 6 uds..
ICS MC-67 Gear Spacer. 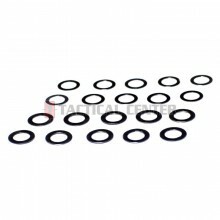 Compatible con todas las marcas.Contenido de la caja:0.2mm x 6 uds 0.3mm x 6 uds 0.5mm x 6 uds .. MODIFY Stainless Steel Advanced Shim Set (20 pcs)0.1mm (thick) X 4.5mm (OD): 10pcs0.15mm (thick) X 4.9mm (OD): 10pcs.. 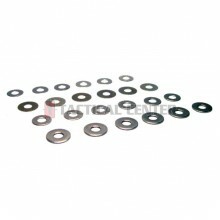 MODIFY Stainless Steel Advanced Shim Set (24 pcs):· 0.1 mm x 6pcs· 0.15 mm x 6pcs· 0.3 mm x 6pcs· 0.5 mm x 6pcs.. 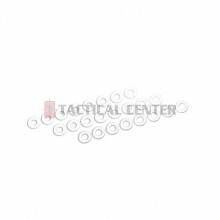 MODIFY Stainless Steel Shim Set (24 pcs)0.1mm: Small Size (Thin) X 60.15mm: Large Size (Thin) X 60.3 mm: Small Size (Thick) X 60.5 mm: Large Size (Thick) X 6..